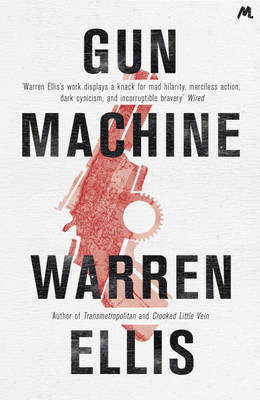 Gun Machine is by Warren Ellis and is due to be published in January 2013. This morning Detective John Tallow was bored with his job. Then there was this naked guy with a shotgun, and his partner getting killed, and now Tallow has a real problem: an apartment full of guns. Old guns. Modified guns. Arranged in rows and spirals on the floor and walls. Hundreds of them. Each weapon is tied to a single unsolved murder. Which means Tallow has uncovered two decades' worth of homicides that no one knew to connect and a killer unlike anything that came before. Tallow's bosses don't want him to solve the case. The murderer just wants him to die. But there's a pattern hiding behind the deaths, and if Tallow can figure it out he might even make it out alive. A series of attacks all over the globe are linked by a single, deadly intent: someone is gathering everything they need to make a dirty bomb. The terrorists behind it are shadows; their targets unknown. Navy SEAL Commander Thomas Crocker and his elite team need answers. They need to go to the source: to track down the material the terrorists are searching for, and stop it falling into the wrong hands. The hunt takes them through the Yemen, to a hijacked boat off the Somali coast, and into the chaos of post-revolutionary Libya...where their mission becomes terrifyingly personal. 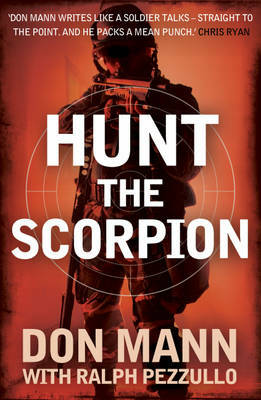 Hunt the Scorpion is by Don Mann and Ralph Pezzullo and is due to be published in February 2013. 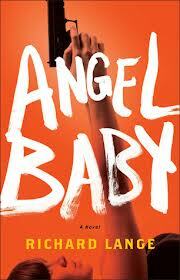 It combines his real-life insight with pulse-pounding action and non-stop thrills. At Black Arts, everyone lives and breathes video games. Including Douglas, who doesn't have much else to talk about. Then he gets promoted to creative lead on Black Arts's flagship franchise, Realms of Gold, a convoluted fantasy game, and things start going wrong. Is it corporate espionage? Internal sabotage? Can there really be a ghost in the machine? Douglas has only ever had to worry about on screen danger before, but that is about to change. 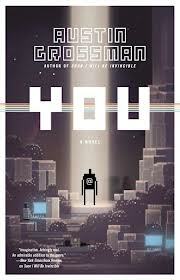 You is by Austin Grossman and is due to be published in March 2013. This morning, I found a body. Soon the police will arrest me for murder. And after that, my life will fall apart. Who can I trust? Who can I believe? How can I make them see I’m innocent? Gaby Mortimer is the woman who has it all. But everything changes when she finds a body on the common near her home. Because the evidence keeps leading back to her. And the police seem sure she's guilty...Under Your Skin is an unpredictable, exquisitely twisty story, which proves that there are only three rules in life that mean anything: Assume nothing Believe no one Check everything. Under Your Skin is by Sabine Durrant and is due to be published in April 2013. 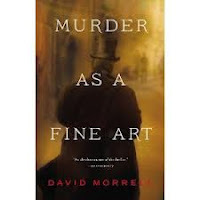 Murder As A Fine Art is by David Morrell and is due to be published in May 2013. 43 years after the Ratcliffe Highway murders brought London to a panic in 1811, Thomas De Quincey, the infamous author of Confessions of an English Opium-Eater, wrote a notorious essay about the murders. That much is historical record. In the brilliantly suspenseful Murder As A Fine Art De Quincey's essay becomes the blueprint for a new killer's "masterpiece.” Newly arrived in London, the author becomes the prime suspect. Soon, however, it becomes clear that De Quincey himself is the murderer's ultimate target. Aided by his daughter and a young Scotland Yard detective, De Quincey must learn the killer's identity to save them all from a horrible fate. Killer Ambition is by Marcia Clark and is due to be published in June 2013. Would you kill to protect your career? Los Angeles DA Rachel Knight is about to find out just how far - and how deadly - Hollywood ambition will go in her latest harrowing case. When the daughter of big-time producer Russell Antonovich is kidnapped and later killed, Rachel is pitted against Hollywood's biggest power players as well as her own boss, who is desperate to stay on the industry's good side. Killer Ambition takes us on a thrilling ride through the darker side of Hollywood and into a court case that could make or break Rachel's career. The Saint is back! Between January and August 2013 Mulholland Books will be republishing all thirty-five books starring the debonair outlaw. Simon Templar is the Saint – daring, dazzling, and just a little bit disreputable. On the side of the law, buts standing just outside it, he dispenses his own brand of justice one criminal at a time, standing up against crooks, swindlers, arms dealers and anyone he considers a worthy opponent…… The Saint books will come with new introductions and extra content.